super cute. love your style and your hair in simple braids. lovely. love all the pictures. it reminds me that the simplest things are the sweetest. Everything makes me smile!!! What a lovely few days you’ve had. Such happy memories you are building, Arielle. Leland is growing so much!! Here’s to a great summer! I’m glad that you didn’t stay away when you were going to take a break! I know we’ve actually never connected technically, but my heart went out to you, and I know you are crazy busy etc.. so it’s hard to get back to comments, so i didn’t leave one, but I wanted to encourage you to say, people will always try to copy, you still have a unique beautiful gift that the Lord has given you, and any jealousy from someone is from their shortcomings, ….you add so much beauty, so I am so happy to see you back! Your photos are adorable! I love your style and the polaroid photo is too cute! 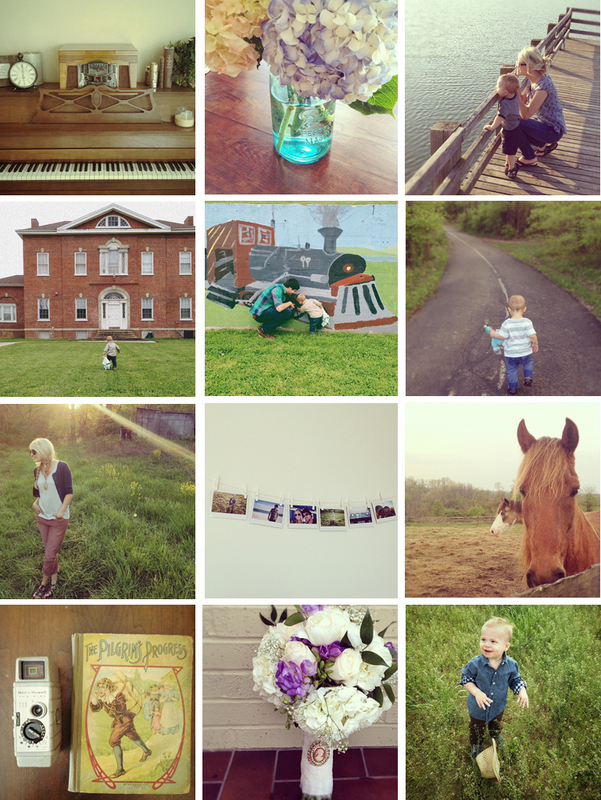 beautiful photos…I love all the pastel accents in them. That piano is lovely, I am such a sucker for vintage pianos. Do you play? those are all so sweet and fun to look through! 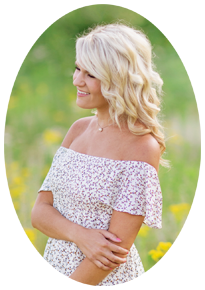 p.s.I’m glad you didn’t take too long of a bloggy break, well I mean if you needed it I understand, but I wanted to take the chance to encourage you. My heart went out to you when you mentioned that about being copied etc…Oh I hope you know that you are still you when that happens and it will continue to happen, but God made you specifically to let your gifts shine and for you to make a difference the way no one else can! I know people say it should be flattering when people copy (it’s happen to be throughout my whole life), but it doesn’t really feel good when it happens….but I think we are all grasping at straws one way or another in life, and someone copying you or me, or whoever might be struggling with creativity or identity or whatever…. Anyway, I hope you are feeling better about it it’s good to have you back and doing your thing! 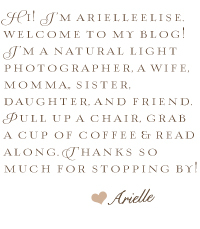 © 2018 Arielle Elise Photography |ProPhoto Photographer Blogsite | Designed by That's Kinda Cool!